Can you tell that I love thread projects? They’re 1) extremely portable, 2) easy to store 3) delicate-looking and visually impressive. Naturally, this love of thread projects means I go through a lot of thread – most recently, KnitPicks Curio. It’s a two-ply, #10 cotton thread – a great gauge for doilies, centerpieces, and bedspreads. It’s soft when you’re working with it, but it definitely holds its shape well when starched and blocked. I recently used up most of my stash of Silver (the lighter shade) and Ash (the darker shade) Curio on a table runner project. Pictures to come. I’m a big fan of gray – especially when used in multiple shades on the same piece. The thread has a wonderful lustrous quality adds to the effect of a heavily textured piece. It just feels nice to work with, which is a pretty big deal when you’re spending months working on a single detailed thread crochet piece. 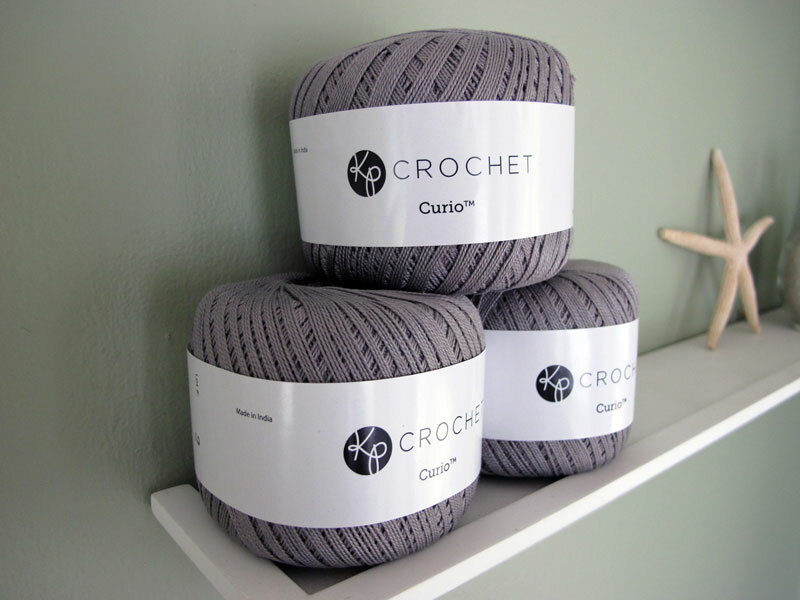 What’s your favorite brand of crochet thread? I’m always looking for new types to try. Slate recently ran an article about the ubiquity of granny square afghans on American television shows. It was fun to read about the origins of some of those familiar set decor pieces. The article didn’t mention one of my favorites: the granny square afghan at the home of Parks and Recreation character Ann Perkins. During the show’s first season, it was often seen in the company of Ann’s then-boyfriend Andy Dwyer (who spent much of his time on that couch while they were dating). No matter how you feel about basic granny square afghans, those TV couches would be pretty boring without them. Husbands can be so melodramatic sometimes, am I right? P.S. I’m so jealous about all the people who got to have Jeni’s Ice Cream. I’ve never tried it, but they have a bunch of locations now. P.P.S. It looks like the 2016 TNNA summer show will be in Washington, D.C. I just wanted to take a moment, on the occasion of my 100th blog post, to say thank you. Your incredible projects and kind words of encouragement inspire me to create!